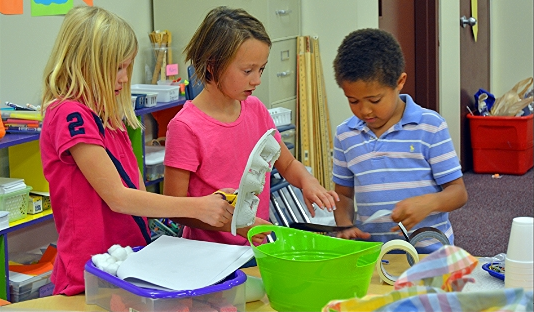 Second graders at The Independence School work on a design challenge in Global Storybook Engineers. Each class period, they exchanged video messages with partners in Peru who were tackling the same projects. 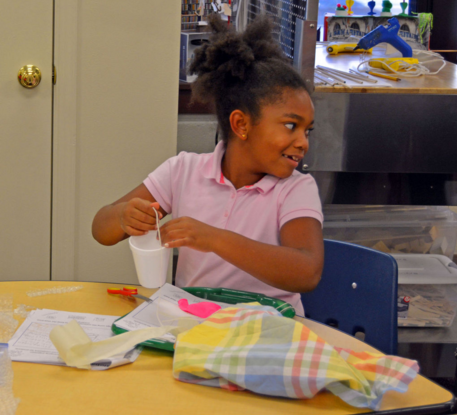 The second graders read fables and myths from around the world and used the stories as a springboard for exploring the engineering process, including designing and testing prototypes. They then shared their hands-on projects, in addition to aspects of themselves and life in the United States, via video messages with students in Peru who were reading the same stories and trying the same challenges. 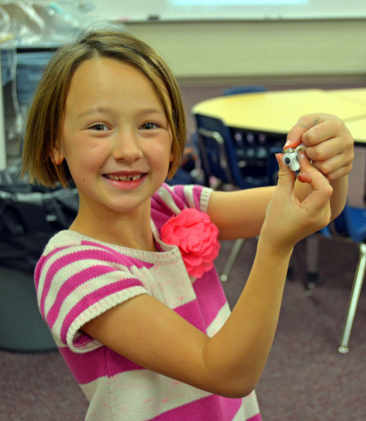 Students work with a variety of materials to engineer solutions for storybook characters as part of the course. 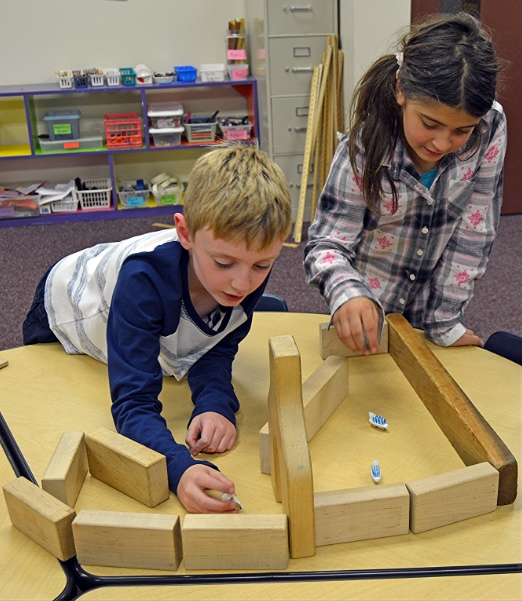 Click here for a “Global Storybook Engineers” photo gallery and see the original posting of this article on The Independence School website.